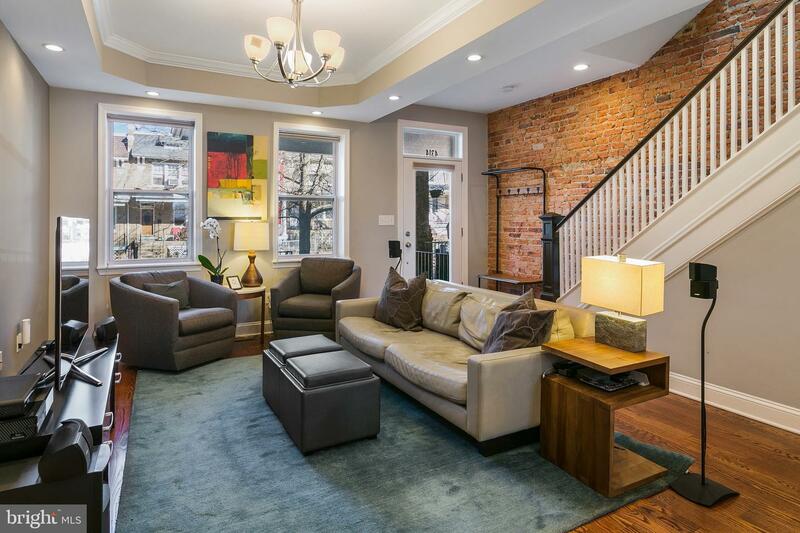 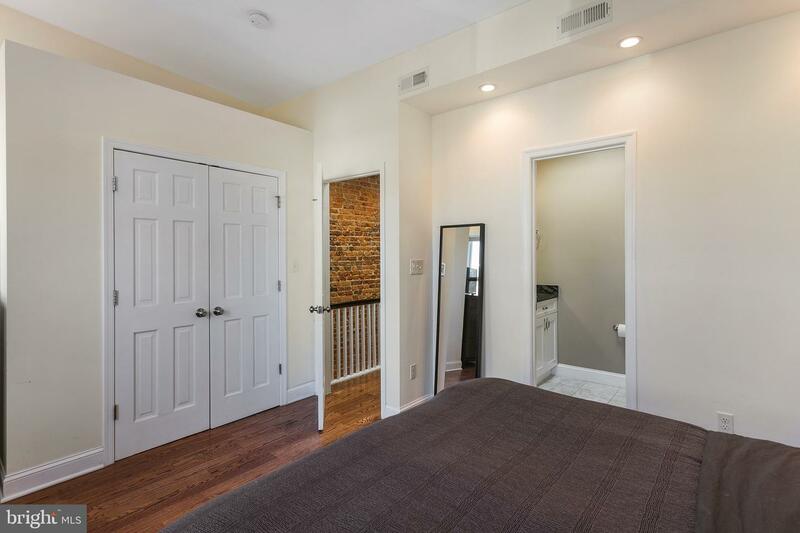 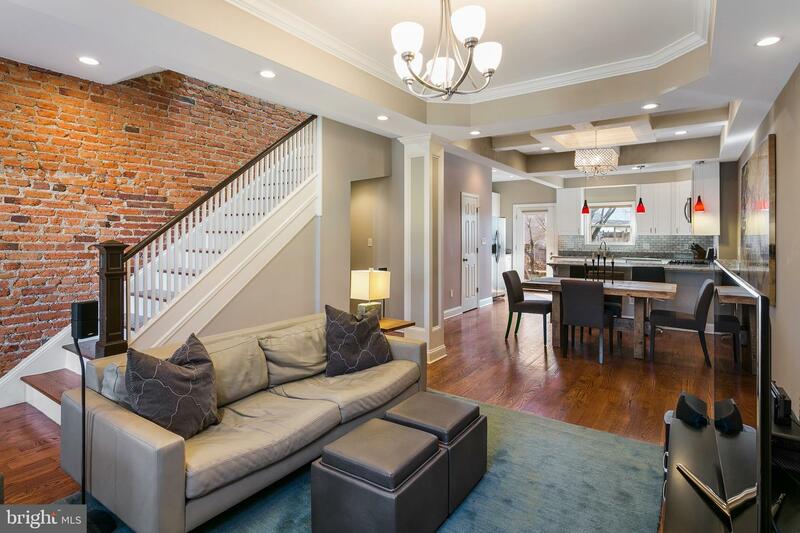 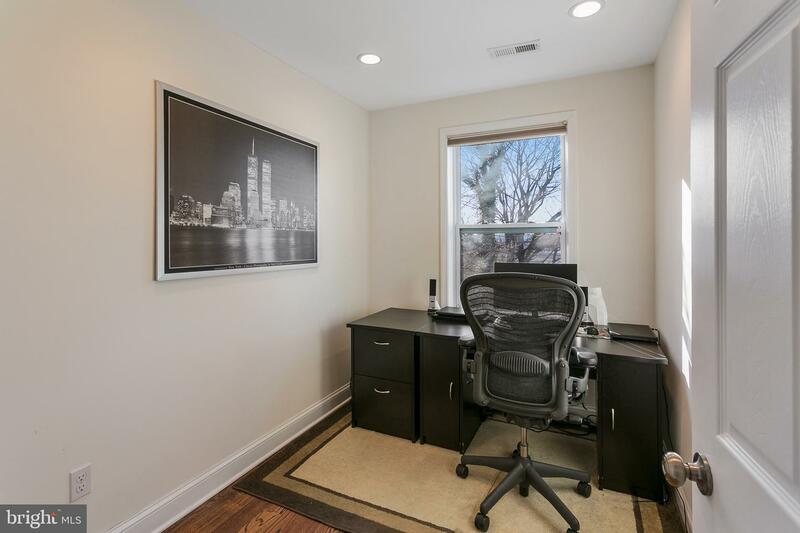 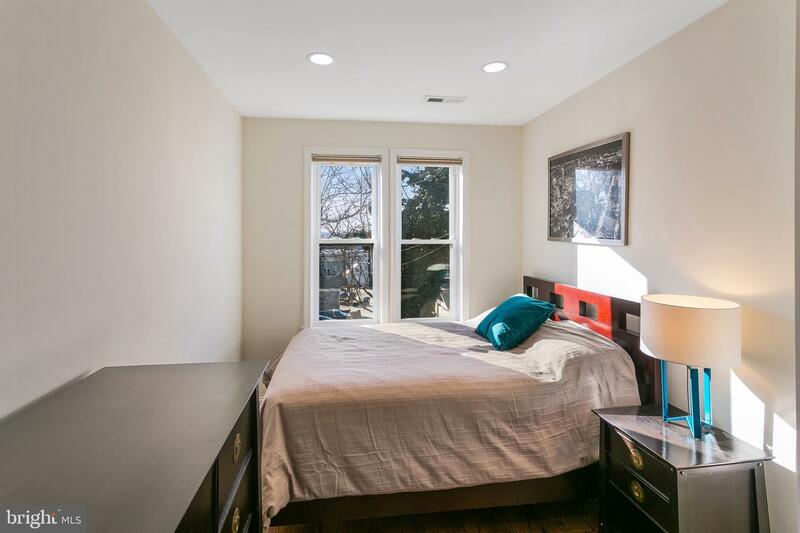 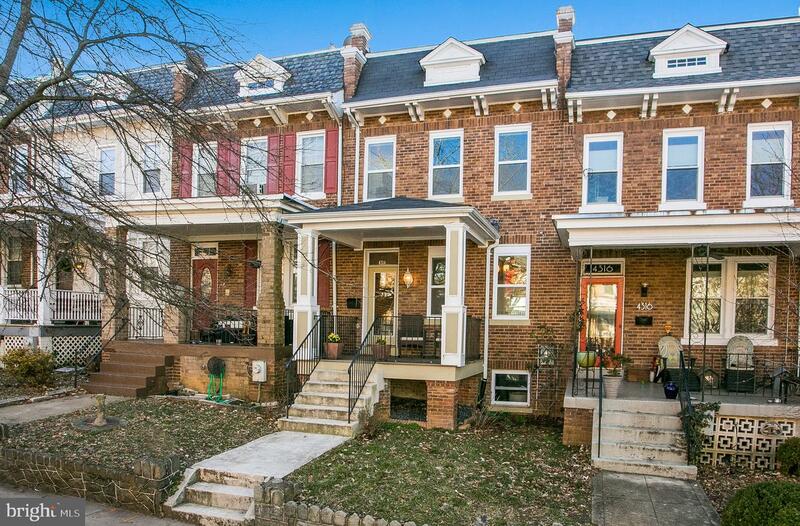 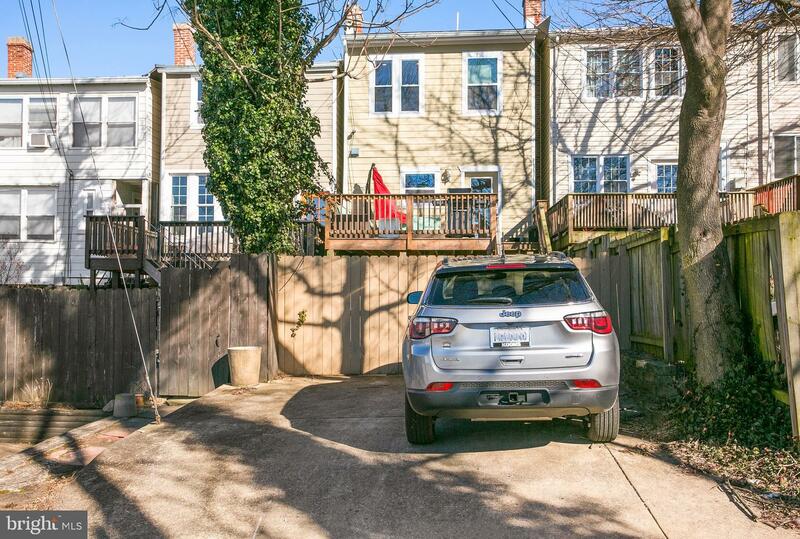 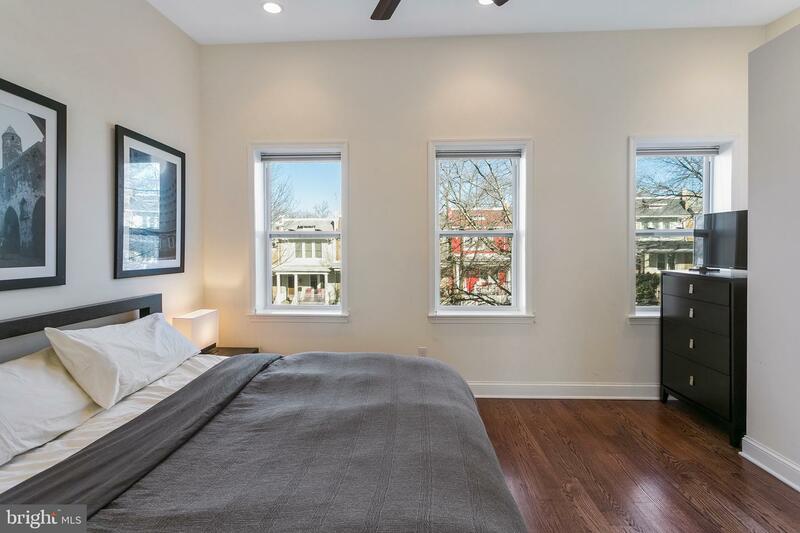 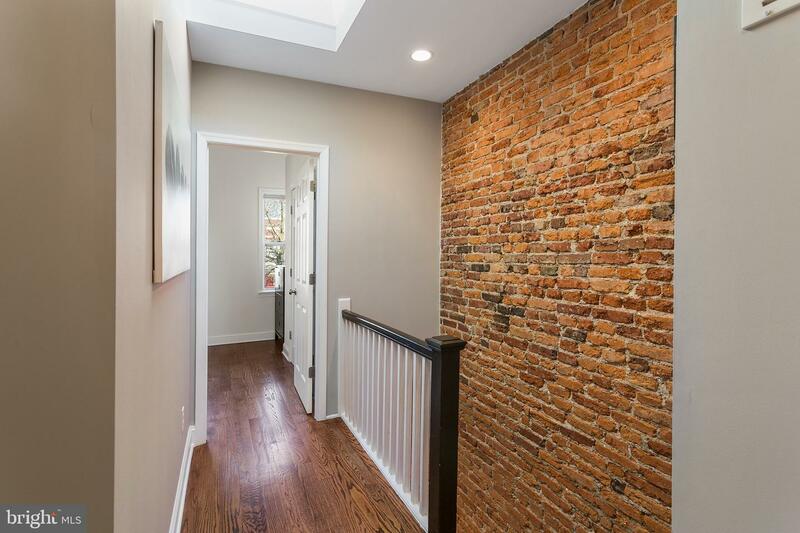 This charming Petworth row house is perfectly situated to provide all the benefits of city life on a quiet treelined street just east of Grant Circle. 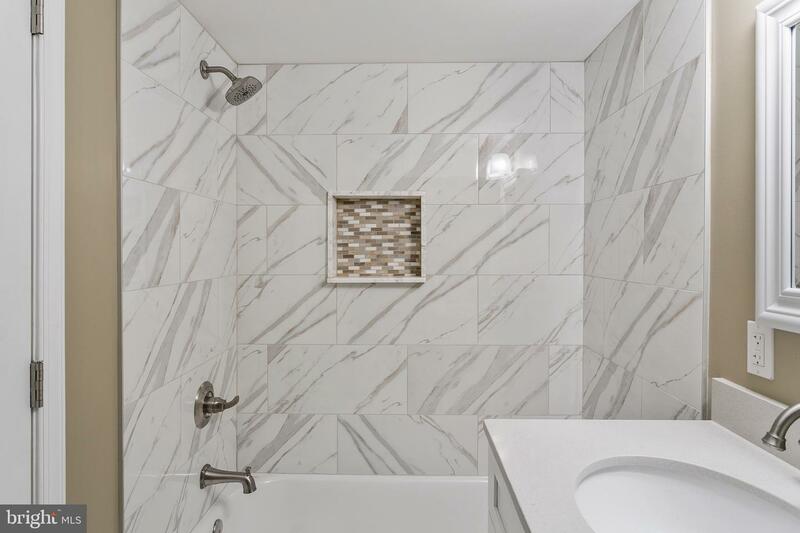 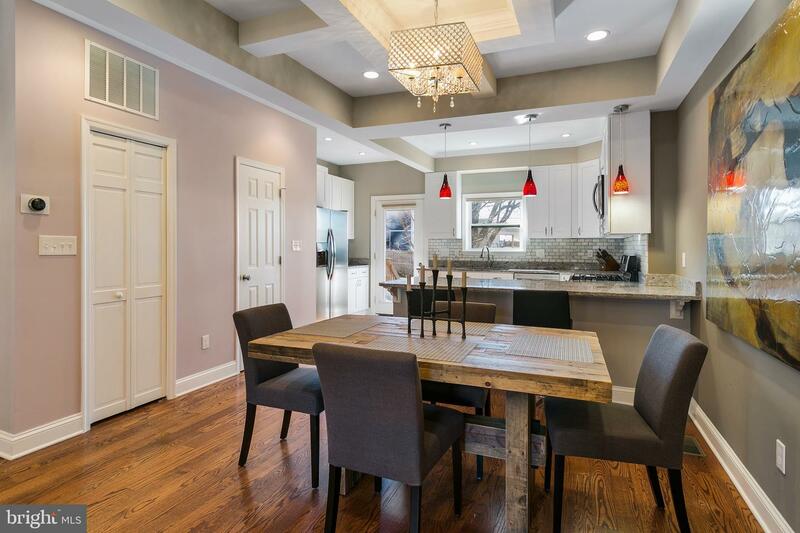 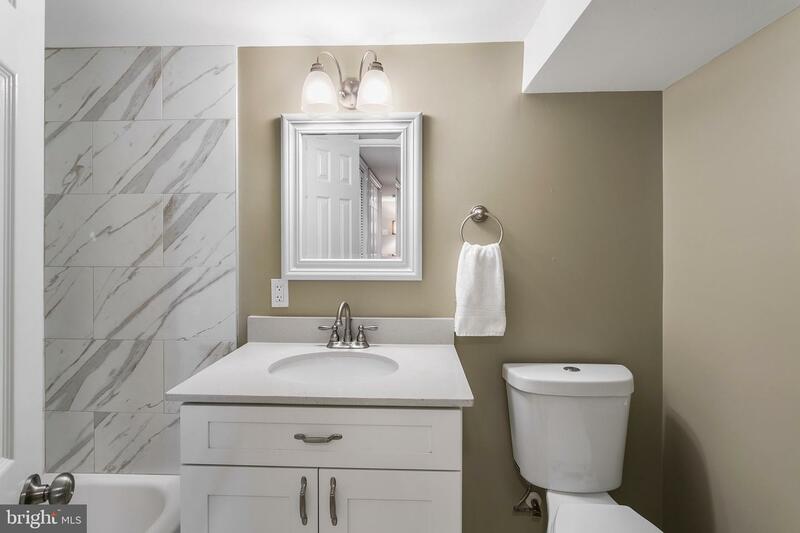 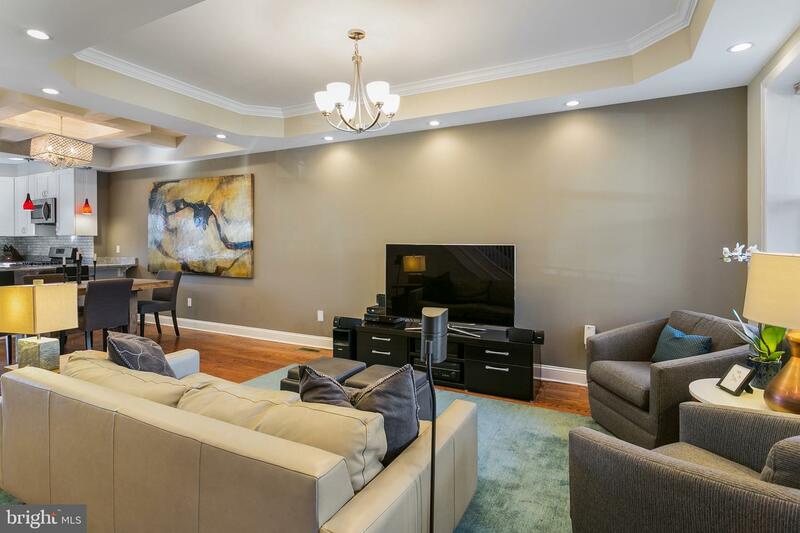 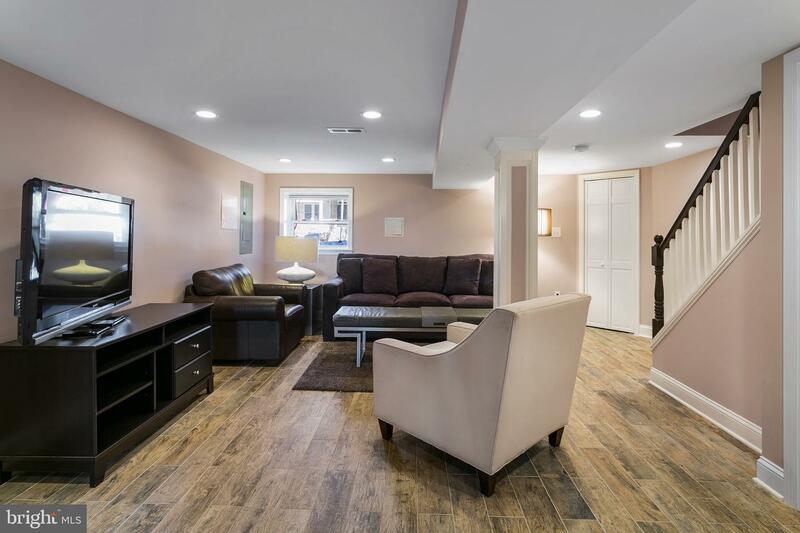 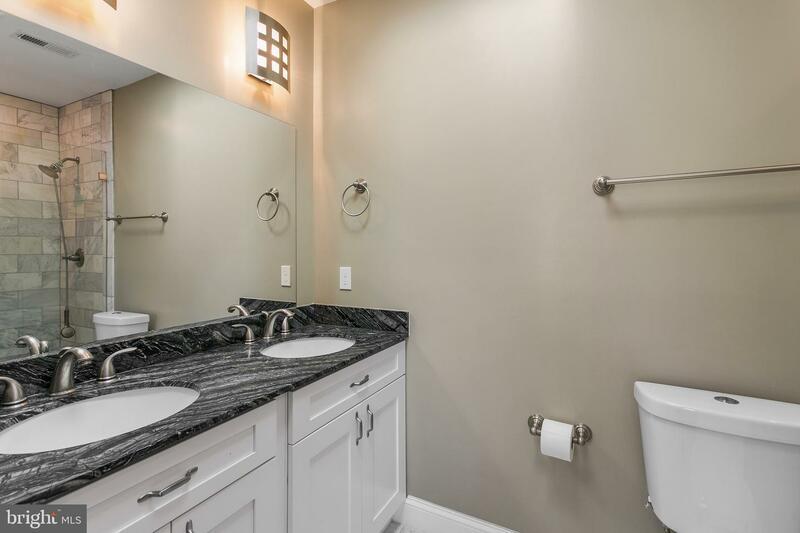 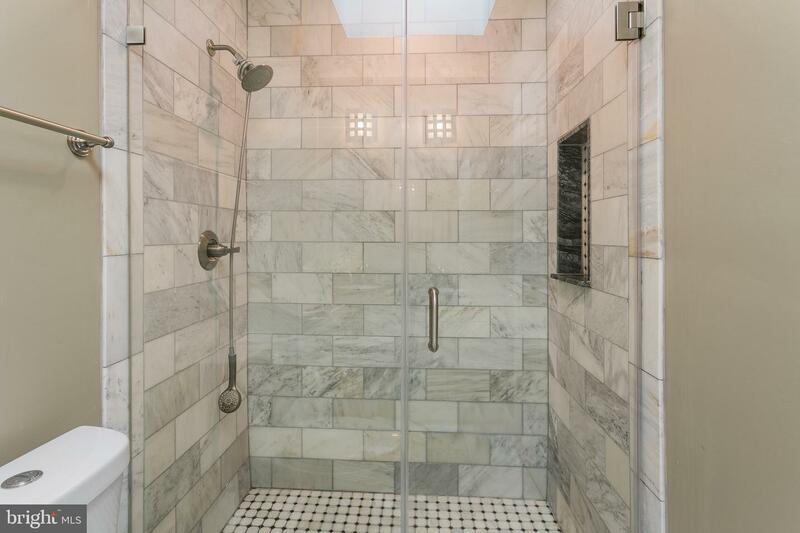 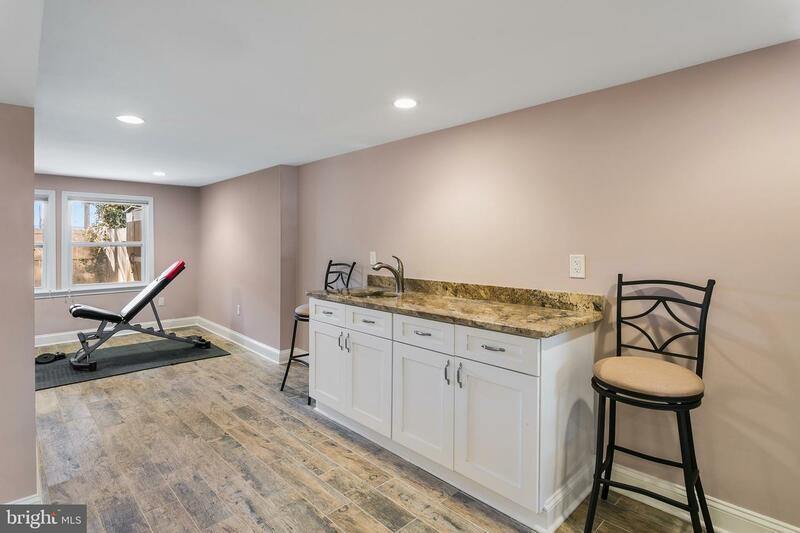 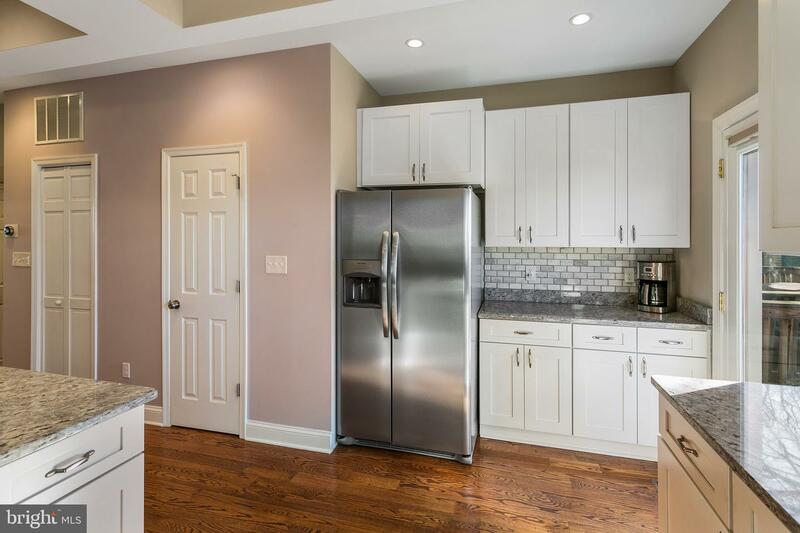 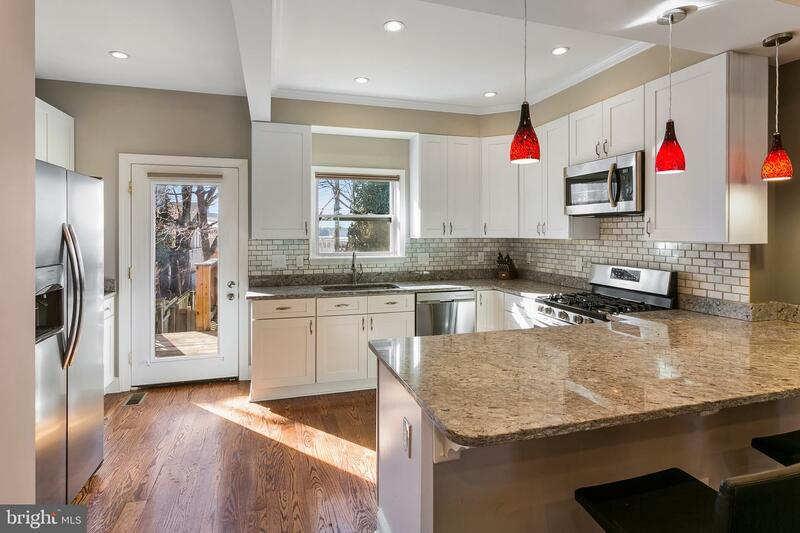 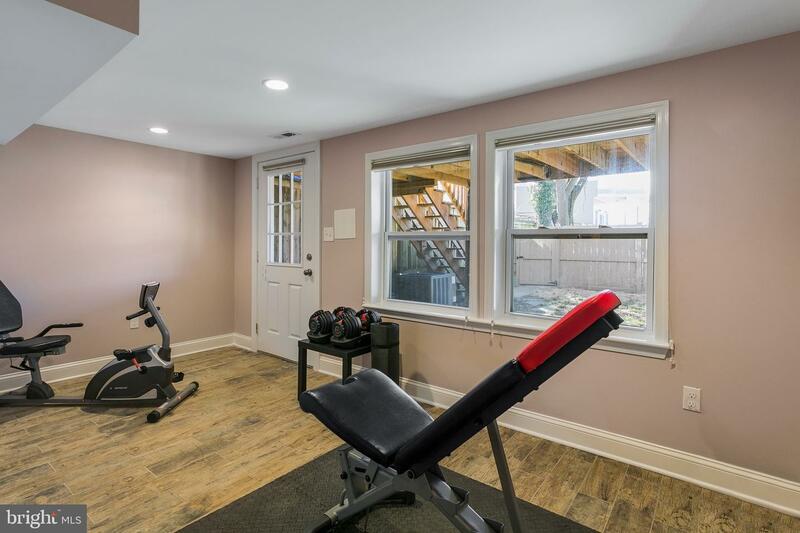 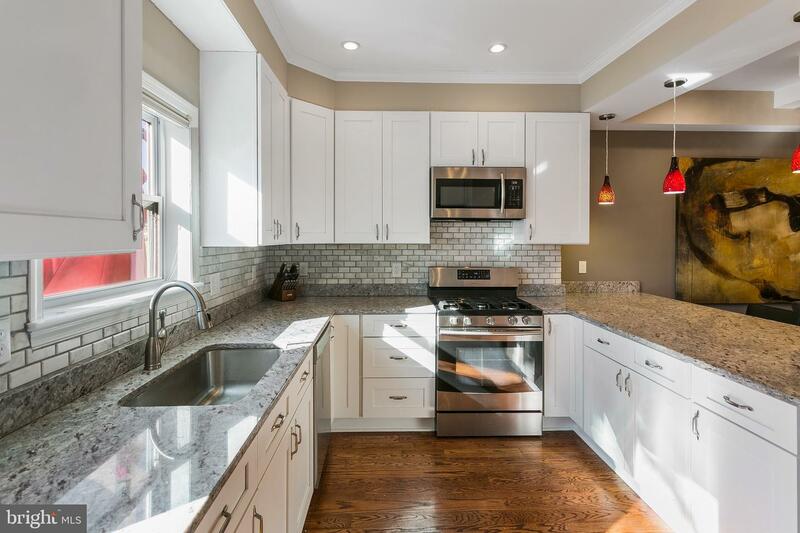 Recently renovated for today~s modern homeowner, this 4 bedroom 3.5 bathrooms home has a spacious open main level, a beautiful white kitchen with gas cooking, half bathroom and hardwood floors throughout. 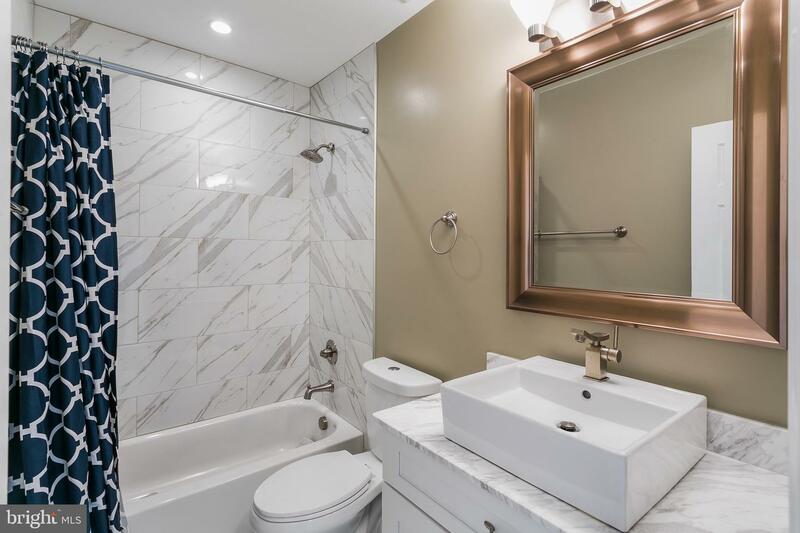 The top level includes a large light filled master bedroom with an ensuite bathroom, double sink vanity and generous shower. 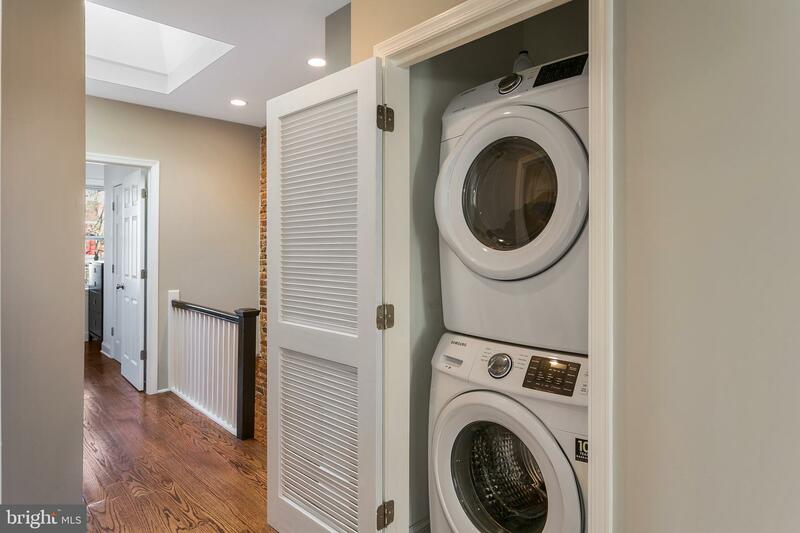 The upper level also includes 2 additional bedrooms, a shared full bathroom and washer & dryer. 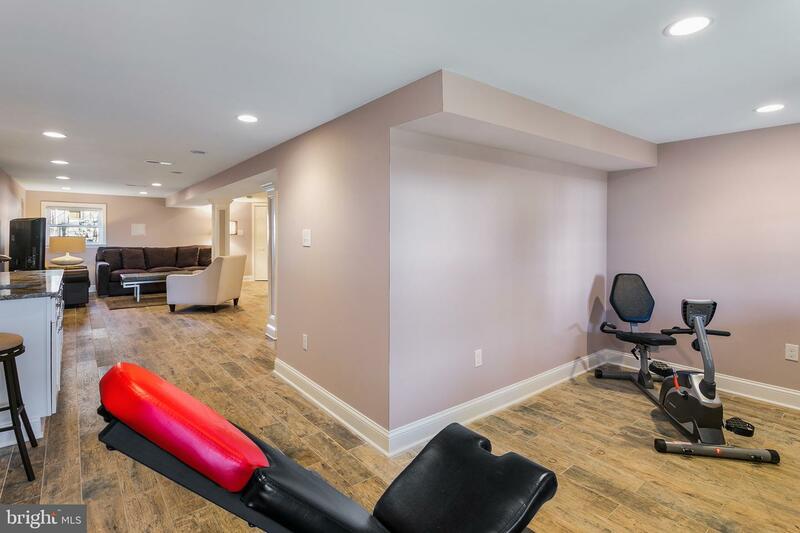 The lower level is the perfect flex-space with a full bathroom, wet bath and tile flooring; perfect as a bedroom, home gym or movie room. 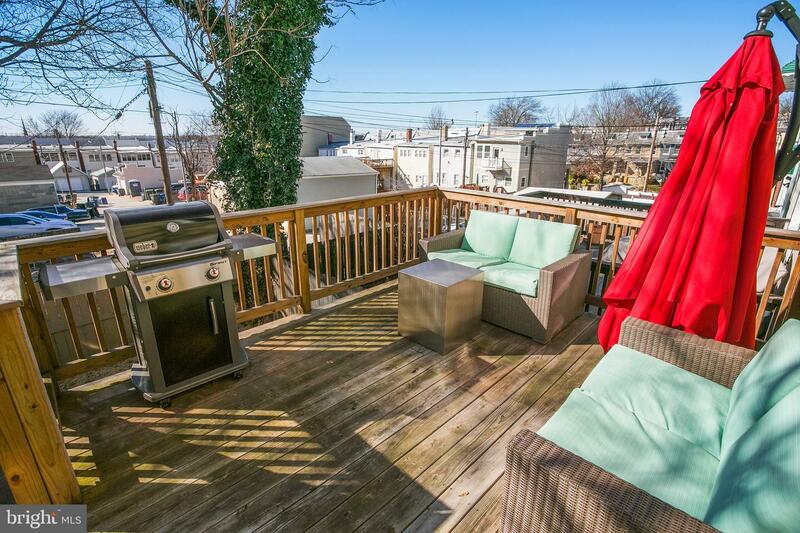 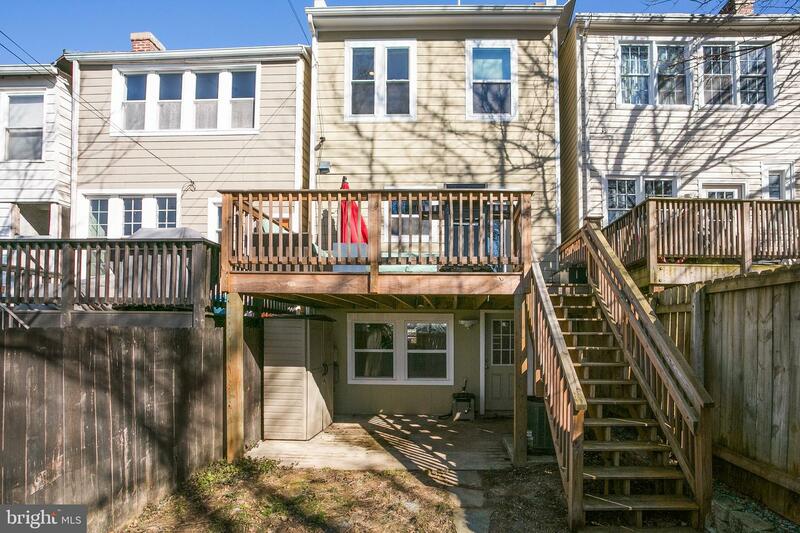 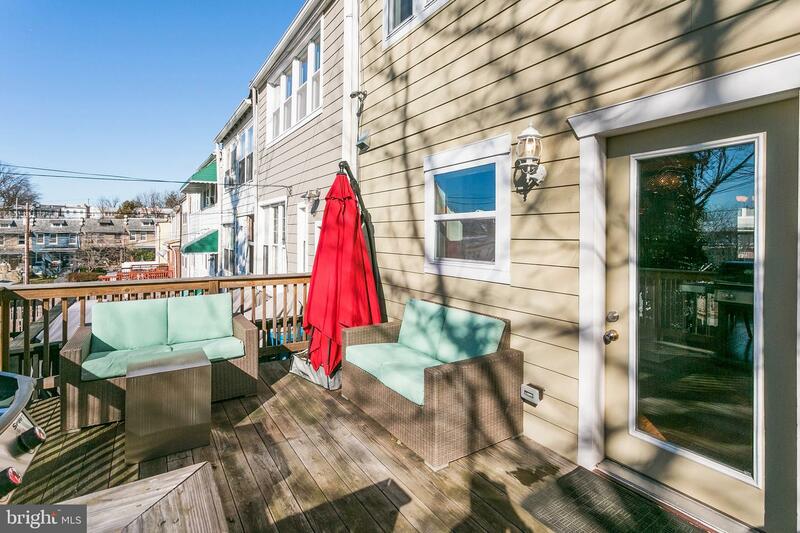 In addition to the appealing front porch is a raised rear deck off of the kitchen above a fenced yard and 2 car parking. 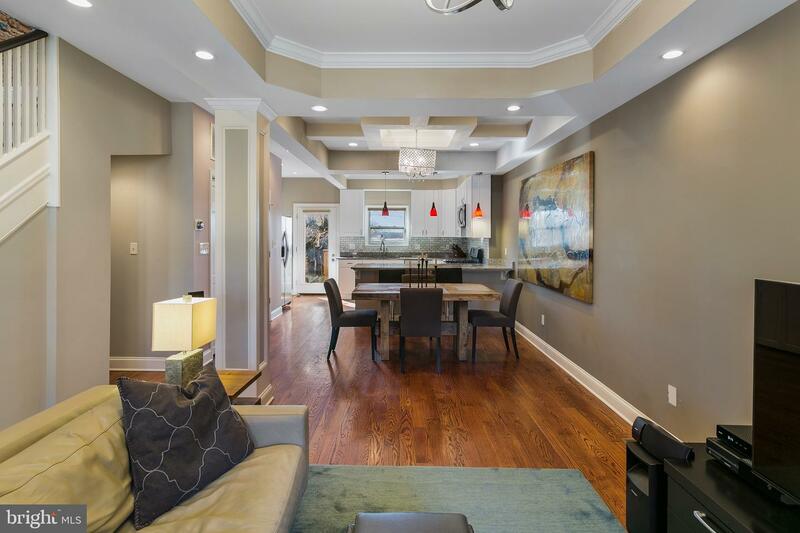 The home is walkable to Yes! 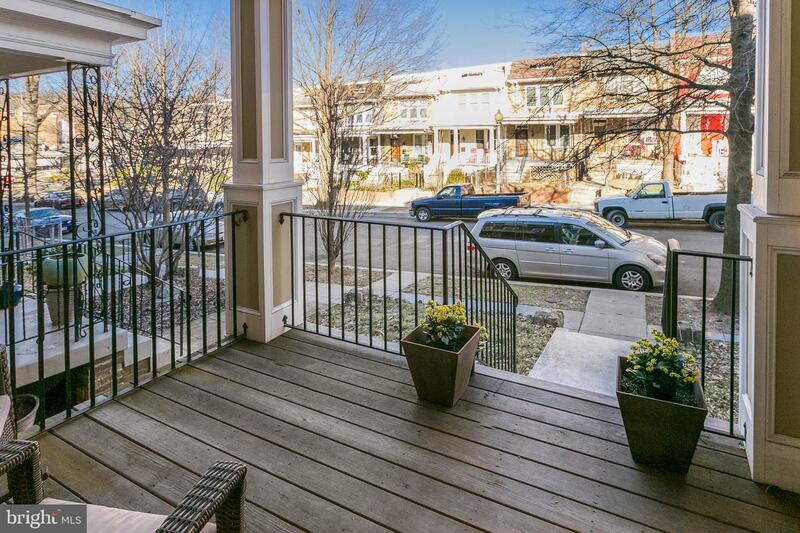 Organic Market, Safeway and the Petworth Metro station.